In the earliest days of the internal combustion engine, there were few regulations. In fact, there weren’t even roads suitable for the daily driving of motorists. But just as the car, along with the network of roads necessary to support it, grew in popularity, so has the political environment around cars evolved. Today’s auto industry – especially here in the United States – functions in anything but an economic vacuum. Not only do taxes and regulations affect everything in automotive production from manufacturers to buyers and consumers, but also, a number of tax loopholes exist that have changed the automotive landscape nationwide. What have these regulations and loopholes meant for both car owners and car manufacturers? Let’s take a closer look. Everyone remembers “Cash for Clunkers.” The program, which allowed people to trade in old cars to the government for as much as $4,500 cash back, sought not only to stimulate the economy but also to rid the roads of particularly high-polluting vehicles. If that sounded like a good idea at the time, it may be time to re-consider its consequences. According to “E” Magazine, known as The Environmental Magazine, many people actually did take advantage of the “Cash for Clunkers” program. The problem was that they sold perfectly good, usable cars – cars that could have been recycled for parts – and many of those vehicles ended up essentially being thrown in the trash. The result is that “Cash for Clunkers” sent cars to landfills rather than recycling centers. “Cash for Clunkers,” thus far, was a one-time program that has seen its positive effects disappear along with the program itself. 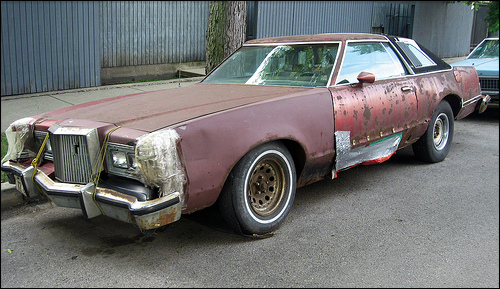 People are no longer selling perfectly good cars just to throw them away. One can’t help but wonder, however, if the program did more harm than good. One of the most popular tax loopholes in the automotive industry today is the tax credit that incentivizes the purchase of electric cars. 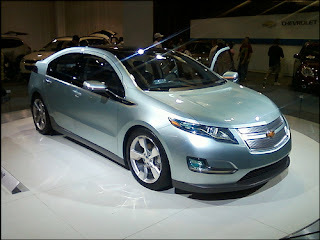 Federal tax credits for the purchase of electric vehicles have allowed cars like the Chevy Volt to be offered at lower prices, making them more readily available and affordable for purchase on the market. The tax incentive may be a necessary perk in order to stimulate the sales of electric cars on the market. The Chevy Volt, which for a long time cost car buyers $40,000, is certainly more affordable thanks to the tax loophole and to Chevy’s price-reducing policies. Of course, automotive manufacturers are in business to make money, so they keep their eyes out for tax loopholes at every turn. For example, a company called GreenTech Automotive spurned Virginia for Mississippi when Virginia’s Economic Development Partnership did not bid on a proposed plant for the manufacturer. When Mississippi did, GreenTech took the government money and moved further south. Although this is not an example of a federal tax credit, it is an example of how states will compete with each other through bidding wars designed to attract manufacturers. About the author: Chris Turberville-Tully works with HR Owen automobile dealerships where one can purchase various luxury cars. For example, a used Maserati. very informative blog. We are planning to buy a car and this blog has helped me to understand what to look for and how to avoid disaster if we buy cars. can you write about different makes and models and their pros and cons please. This is an interesting article. Reasons like this is why I try to stay away from buying new cars. I personally like buying used cars because it saves me some money and I can also re-sell it if I want. I used to love the "cash for clunkers" deal because it kept the used cars business rolling. Obviously times are changing and people are starting to invest in electric and hybrid cars to help the environment. I understand the logic but I just am not at that point yet. I like buying used cars and squeezing every ounce of car left out of them before they die. Since moving to Texas I have been looking around at Car Dealerships in McAllen TX because my son just got his license. This is another reason why I prefer used cars because of young drivers like my son. I would never spend a lot of money on a new car for him because something could happen. It is just important when buying used cars that you make sure the car is safe and reliable.